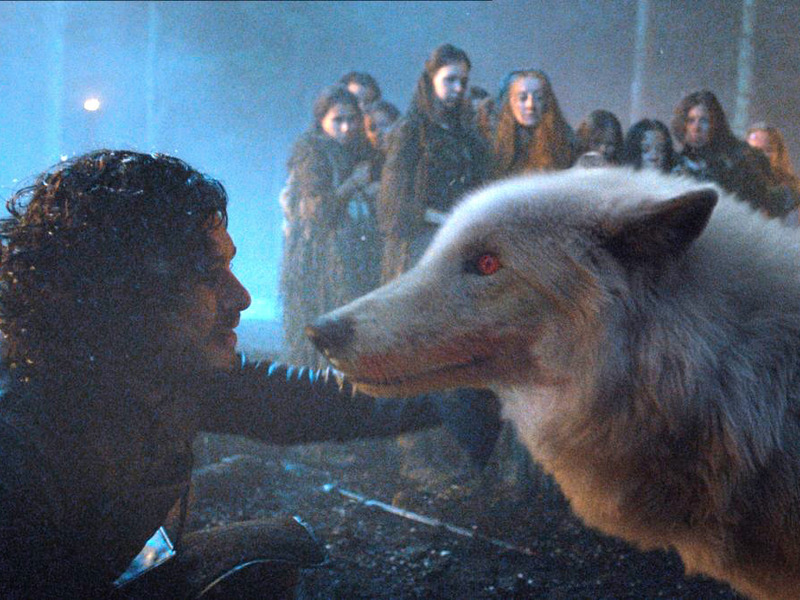 Helen Sloan/HBOKit Harington as Jon Snow, with direwolf Ghost. While “Game of Thrones” delivered an epic penultimate episode on Sunday, many fans noticed that something was missing. So why did Jon’s best friend not make it to the battlefield? “Battle of the Bastards” was a complicated and expensive episode to produce. While a typical episode takes one to two weeks to shoot, Sunday’s episode shot for 25 days, Entertainment Weekly reported. That included 600 crew members, 500 extras, 70 horses, and 25 stuntmen and women. Its price tag could lie somewhere between $11 million and $25 million. 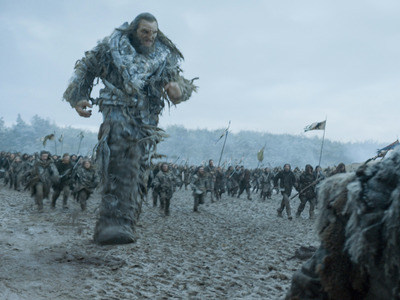 Still, just because Ghost had to be dropped doesn’t mean the production made the easier and cheaper decision by bringing Wun Wun, the Wildling giant loyal to Jon Snow, to the battlefield. Plus, Wun Wun ended up giving his life to place the Starks back in Winterfell. While definitely sad, at least we know Ghost is alive and well.